Tomorrowland offers stories full of strange attractions and uncanny conceits – a world of freakish former child stars, abused Elvis impersonators, derelict roadside attractions, apocalyptic small towns, alternate universes where you make out with your ex, and cities built in your backyard to house all the people you’ve disappointed in life. At its core, the world of Tomorrowland is our own, reflected off a funhouse mirror – revealing our hopes and deepest fears to comic, heartbreaking effect. The first collection of futuristic short fiction from master storyteller [Joseph] Bates is filled with surprising, clever turns, at once freakishly funny and wildly imaginative ... [A]n outstanding story collection. Bates's stories share the sense of dangling over the cliff of reality ... Bates washes the real world in straightforward sci-fi, revealing a certain restlessness to sift through alternate possibilities. At its best, the collection uses exaggerated reality and irrational other-worldliness in order to highlight elements of everyday life. 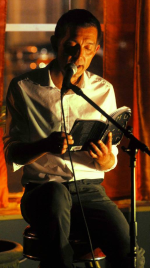 The quality [of the stories] ranges from good to flabbergastingly good ... Bates is a master of bathos, the abrupt move from the sublime to the ridiculous, and often back again, for comic effect. Tomorrowland is often charming, and proceeds briskly — but it never loses sight of the anxieties that motivate many of these stories, and it’s chiefly for that reason that it endures. 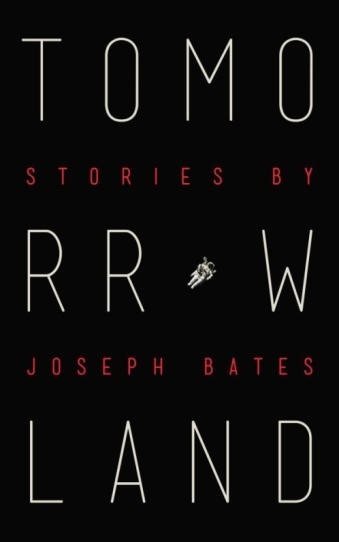 Reading Joseph Bates's debut collection, Tomorrowland, gave me the same electric feeling I had the first time I read CivilWarLand in Bad Decline by George Saunders. Like Saunders, Bates's stories are funny and original, and most importantly carry fragile human freight from start to finish. [These] highly inventive stories ... address a fantastic yet familiar world where shiny promises of fulfillment fall flat, age disappoints, and love is not exactly the answer. Yet these bizarre stories are funny in the best humanist tradition. Imagine if Tolstoy set The Death of Ivan Ilyich in The Twilight Zone and you have an idea of Tomorrowland. Rarely have I read a collection of stories that are all, every one of them, just so, so good. Bates’s stories are clever, wry, entertaining, and occasionally hard on the heartstrings [...] I cannot recommend this book enough.